Our center provides a well-rounded learning environment for each child. Our teachers make lesson plans that follow themes for each week, which include art, outside time, free time, group time, and circle time, and other activities. Each room is full of age- appropriate activities that are fun and engaging. In our rooms, the children are participating in circle time in which they sings songs and practice numbers, colors, shapes, and other learning activities appropriate for their age. Each classroom goes outside, plays in the room, and does art. If you would like to come tour our center to see our learning atmosphere, please Contact Us. We would love for you to join us! We the staff, employed by For the Love of Children, are here to ensure the happiness and safety of each child and parent that attend daycare at For the Love of Children. We will enhance the children's cognitive, physical, social, and emotional development. We will provide a positive reinforcement for discipline and well-balanced nutrition. Our SD License Number is 010603874, allowing care for up to 149 children. 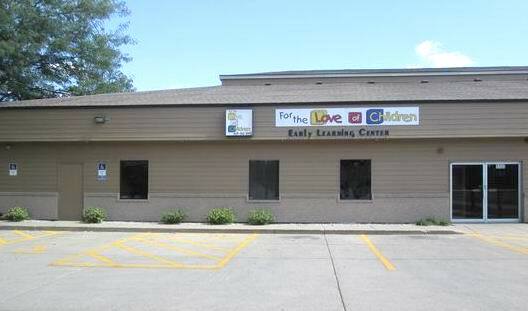 We offer our Daycare Services from infants 4 weeks old to children up to age 12.